The London Philharmonic Choir and Orchestra under Vladimir Jurowski perform The Seasons, Haydn's sequel to The Creation, which was inspired by the composer's time in London. Joseph Haydn was born in an era when nature touched every part of life, and he died in an age of revolution. 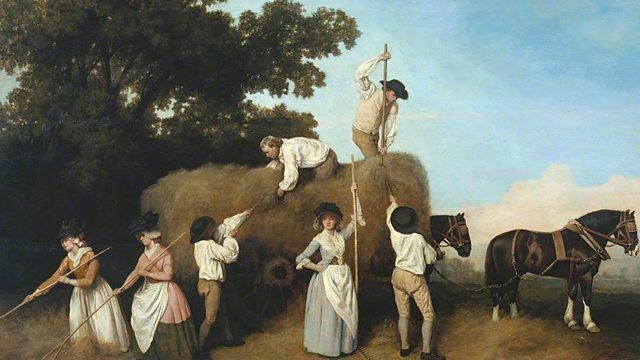 It’s all there in his final masterpiece The Seasons: an irresistibly tuneful panorama of 18th-century life and love in all its bustling, earthy exuberance. With its winter storms and whistling ploughmen, hymns of praise and booze-fuelled revels, this sequel to The Creation was inspired by Haydn’s time in London, and written specially to appeal to British audiences. In this concert, recorded at the Royal Festival Hall on London's South Bank, soloists Sophie Bevan, Mark Padmore and Andrew Foster-Williams are joined by the London Philharmonic Choir and Orchestra and conducted by Vladimir Jurowski. Singer: Sophie Bevan. Singer: Mark Padmore. Singer: Andrew Foster-Williams. Conductor: Vladimir Jurowski. Orchestra: London Philharmonic Orchestra. Choir: London Philharmonic Choir.